Call to schedule private events and reserve area. Room fees and/or deposits apply, may very depending on size and date of event. 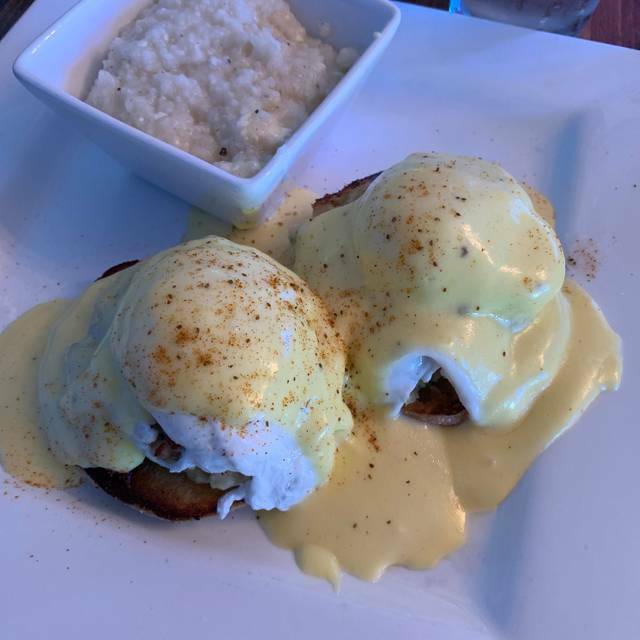 The new Kitchen and Bar at Safety Harbor (formerly Green Springs Bistro) is now open and taking this beloved Safety Harbor dining tradition to the next level on every front. Whether raising a glass among family and friends, enjoying a romantic date night or indulging in exceptional steaks, fresh Gulf seafood or Southern comfort food with a modern twist, you’ll find that time spent here is more delicious than ever. New owners and seasoned restauranteurs Tom Golden(The Lure, Vintage, The Artisan), Michael Stewart(Ava, 717 South), and Executive Chef Jason Rodis are keeping some of the old menu favorites while introducing an eclectic mix of New American dishes served tapas-style and an amazing weekend brunch. Our newest editions include a full liquor bar and adding even more charm to this historic bungalow setting: an outdoor pavilion where you can dine under the twinkling oak trees and stars. Food was fresh and tasty. Had a wonderful time. As longtime residents of Safety Harbor, we had eaten many times at Green Springs. Yesterday we learned that the restaurant was now The Kitchen and Bar at Safety Harbor and hubby and I immediately reserved a table for two through Open Table for the same night. We were warmly greeted and seated at a perfect table for the two of us. The restaurant was not very busy but there was only one waitress who was very welcoming and attentive. The menu was delightfully updated with smaller plate options. The full bar is a nice addition although not yet fully stocked. Our waitress was extremely helpful and knowledgeable about my personal dietary concerns (gluten intolerance). She had the chef prepare the lamb gluten free. It was perfectly cooked and delicious! My husband enjoyed a couple of the smaller plates of risotto and fish and ended his meal with a flourless chocolate cake. 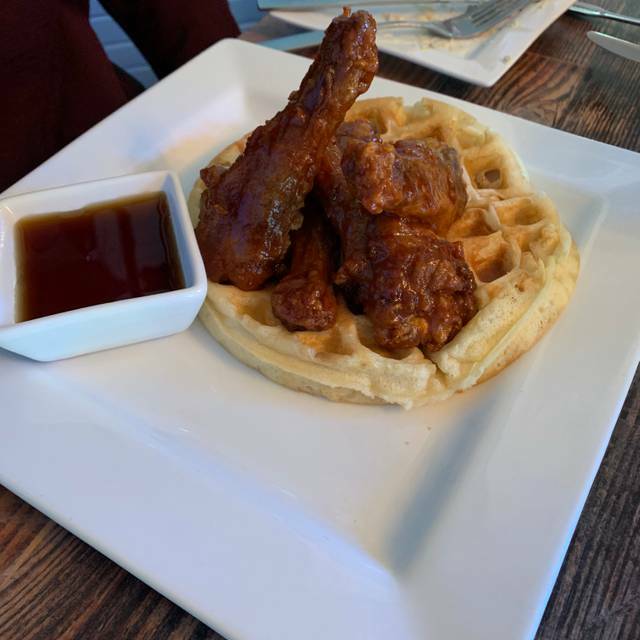 It is not the cheapest of restaurants in Safety Harbor but the quality of food, service and ambience make it a wonderful special night out option. I would highly recommend The Kitchen and Bar at Safety Harbor and, as locals, we wish them the best of luck! This restaurant is fabulous. I was surprised that there were no reviews on Trip Advisor about it as it definitely deserves 5 stars. Service was great, food was delicious for those who appreciate quality. Great dinner and loved the Blueberry Bliss cocktail! Taylor waited on us and was super quick, friendly and personable. The ambiance was wonderful, loved the artwork and decor. A great time, a great meal and a charming place. Will definitely return and recommend to others. This was our first time in Safety Harbor and dining here. We were pleasantly surprised with the restaurant, food and service. We will return in the future. Asked for my wedge salad to be chopped and waitress said cooks were too busy to do that. And went into say there was a new guy in salads that would be too much for him. Since when does good customer service give these types of reasons. Also steak came out way too rare. Last all in our party who ate the filet had upset stomachs afterwards. The food - every item we ordered - was outstanding. The service was pretty terrible. Although servers were friendly and concerned, every request had to be repeated several times. Food was delivered erratically - perhaps it was meant to be a tapas approach with items trickling out as they were ready but that was not indicated by the menu or the server. We waited at least 20 minutes for a round of drinks. We were informed that small requests (ie extra salad dressing) would incur an extra charge. (And that $2 dressing required 3 requests and didn't arrive until after the salad was nearly finished.) The setting is lovely and the food is worth the trouble. I'd suggest planning on 2+ hours for your meal. Great dinner of small plates with wonderful service & a casual, friendly vibe! Definitely will be back! We really enjoyed our dining experience. We visited on Thursday and not crowded. Staff was friendly and professional. 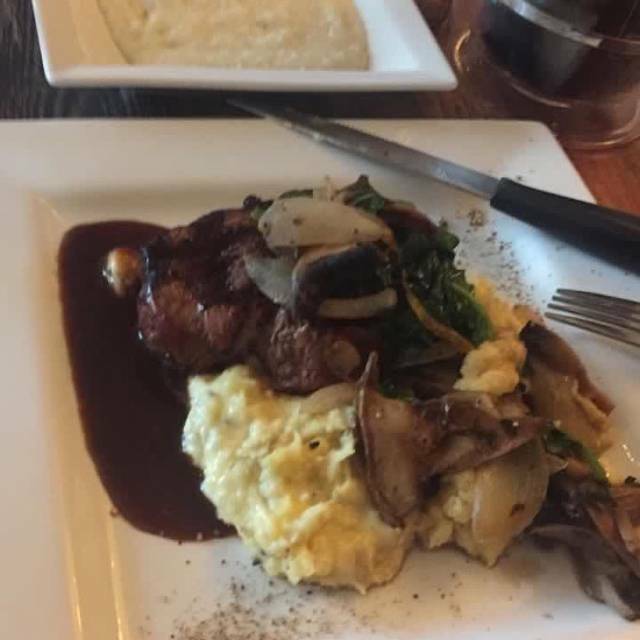 We loved our food (pork chop and salmon main courses, and starters of duck wings and seafood risotto shared with another couple). The small plates are a little pricey but the portions were good for sharing for two people, and the portions and pricing on the entrees were reasonable. Very nice overall experience and will be back. From the moment that my party entered the restaurant until the last moment that we left the restaurant, everything was wonderful. The hostess, waitress, and owner were courteous, respectful and dedicated to providing the best service possible. I have not been to a better serviced restaurant in any state including NYC and Chicago. I was especially surprised to receive the reception offered in The Kitchen & Bar compared to other restaurants at the same level. I will return to The Kitchen & Bar. I recommend the restaurant to family and friends without hesitation. It was very good. Outstanding for us is a different type of restaurant. This was very good food in a very relaxed atmosphere with quality service. This place makes for a wonderful night out dining experience. You cant go wrong. We love Safety Harbor! Wow! What a terrific find! Everything was so so fresh and the tapas concept allows you to either try lots of things or get your standard app, salad, entree. Great and eclectic sides with honey charm and character by the boatload! As always, food and service were fabulous! The gumbo was outstanding and the redfish was fresh, buttery and delicious. The cobbler was a great finish! Another outstanding meal by Chef Jason! Very cute and very good! Enjoyed the good food and the staff! We had a concert to get to and they were quick and on the ball! I totally recommend it! All around great experience!! We try and go 2 times per week. That good!! 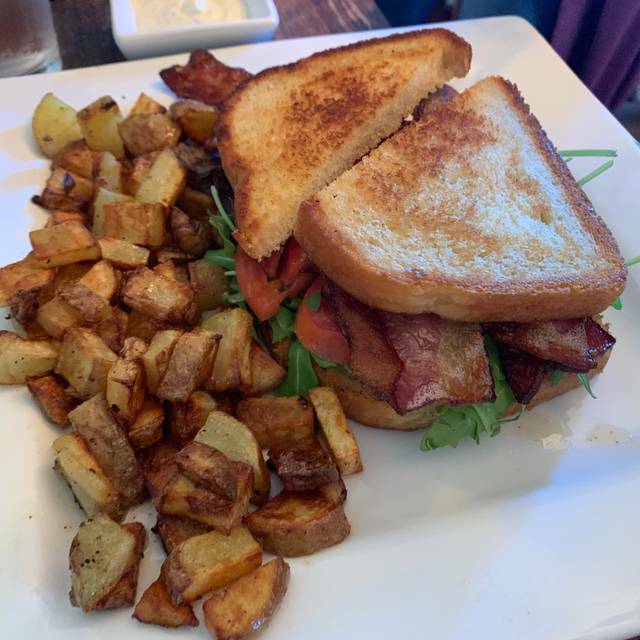 The overall experience was very good, however the noise level increased as the room filled up and was uncomfortably loud toward the end of our dining experience. Unfortunately, our table was in a direct line with the setting sun and there was no curtain to ease the glare. The food was outstanding, however, and the service very good. Delicious dinner, great grapefruit sangria, and wonderful service! The food was sensational ! Chef Jason is an outstanding chef, extremely creative the lamb chops & baby back ribs were the best we have ever had & the lobster appetizer was something we could enjoy everyday. A must visit when you are in the Safety Harbor area. Cute little place with really good food. I had the filet- which was excellent. Cobbler for desert was also really good. I recommend this restaurant! It's a charming little restaurant. There was a fire in the fireplace, and basically a nice atmosphere. We all had fish dishes, and they were absolutely delicious. Highly recommended. This place is great! We went with a range of small plates and everything was fantastic. The top winner was the gumbo, at least as good as some I've had in New Orleans. Great food. Excellent service. We will be back to try more. An Absolute Gem for lovers of love and food!!! We’ve eaten here many times and always enjoy the experience. My husband really liked the meatloaf and the value. Meatloaf Monday on Tuesday! Excellent & delicious food- service was terrific- one our go to restaurants when next in the area. Lamb chops and duck were delicious. Great food and service. Highly recommend the duck wings! Great service, friendly staff. Food was average at best and extremely overpriced as was the wine selection. Very disappointed as the staff was great. Would not try again. I think the food is excellent. The restaurant is always full! We had a shakey start, the first 3 requests were not available or could not be accommodated. This was frustrating as it was only 7pm and already out of a couple entrees and could not make a modification to another. Once we got past all that it got better. It got pretty loud as many places do. I would certainly give it another try and recommend others do to.